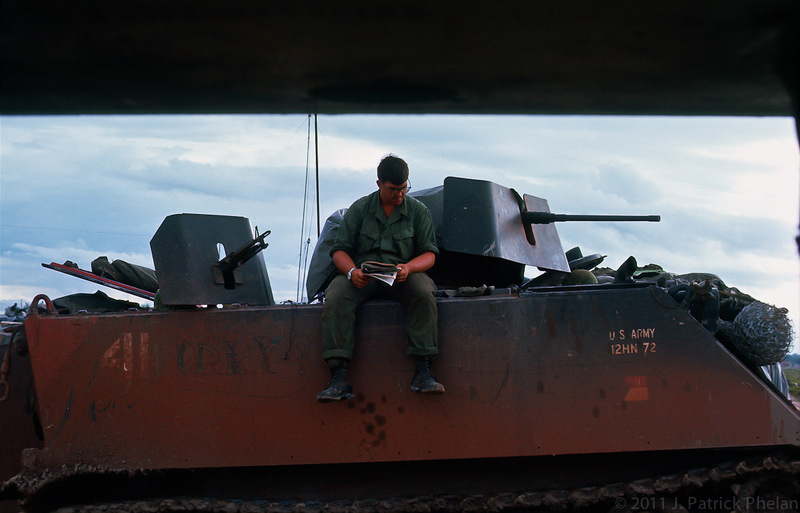 Ronald "Porky" Belford sits on top of his track and reads a magazine. Ron was from Genesee, Michigan, and passed away April 9, 1997. See you at Fiddler's Green Ron!